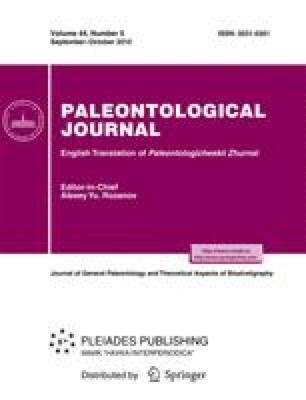 A new elasmosaurid genus and species, Alexeyisaurus karnoushenkoi, from the Lower-Middle Norian (Wilczek Formation) of the Upper Triassic of the island of Wilczek Land (Franz Josef Land) is described based on an incomplete skeleton. The new form combines characters of typical late plesiosaurs and structural features unique to this form. It is probably the earliest representative of typical late sauropterygians (plesiosaurs). Original Russian Text © A.G. Sennikov, M.S. Arkhangelsky, 2010, published in Paleontologicheskii Zhurnal, 2010, No. 5, pp. 84–89.